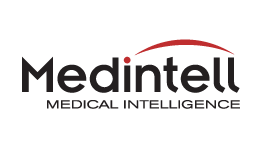 Medintell delivers customized, professional medical, dental and veterinary websites that are easy to set-up, easy to maintain and, most importantly, effective at attracting new patients. Since 1999, we have worked with dentists and doctors to create stunning websites, implement results-oriented online marketing campaigns and integrate attention-getting practice marketing materials. An industry leader in website technology, utilizing state-of-the-art technology and media skills. We constantly improve our knowledge and technology base to pass onto our clients the latest ways to improve your site. Content management allows our clients to get important information out when you need to. Our team of designers, programmers, photographers, medical professionals, writers and network engineers offer unparalleled experience. Having constructed literally thousands of websites, the team at Medintell knows how to design high-performing websites that are engaging and personable. Our team of content editors, writers, graphic designers and web programmers are available to help you tailor your web content and differentiate your practice. And our turnkey systems are so easy that we get our clients up and running with their new websites speedily. Medintell makes it easy for you to get your healthcare practice noticed on the Internet through social networking sites. We’ll create a presence for you on leading social networking sites, such as Facebook, Twitter, YouTube and MySpace, and establish a blog for your practice. Broaden your referral network and increase new patient leads by plugging into the social networking power of the Internet with Medintell. Every Medintell website has a built-in blog application with syndication properties. We can establish your practice on Facebook, Twitter, and any other media outlet you select. We offer custom application suites that crosslink your social media accounts, reposting your important updates everywhere with minimal work. Simple office efficiencies are what every practice is looking for. Reduce time spent on the phone or sending postcards with our easy-to-use appointment reminders. Set them up to remind patients of yearly or monthly appointments, or configure it to remind patients of impending made appointments. Save money and improve efficiencies, only one of the great features of using a Medintell site for your practice. Making payment for services easy is a need for smaller practices. We hear time and time again about how difficult it is to collect on outstanding service balances. Usually involving expensive collections agencies, or seeing your practice take losses on bad debt. Our goal is to put into place an easy-to-use e-commerce system in place for your practice to collect on these small invoices, making it easy for your patients and clients to pay.